September 1911. On Ellis Island in New York Harbor, nurse Clara Wood cannot face returning to Manhattan, where the man she loved fell to his death in the Triangle Shirtwaist Fire. Then, while caring for a fevered immigrant whose own loss mirrors hers, she becomes intrigued by a name embroidered onto the scarf he carries…and finds herself caught in a dilemma that compels her to confront the truth about the assumptions she’s made. Will what she learns devastate her or free her? September 2011. On Manhattan’s Upper West Side, widow Taryn Michaels has convinced herself that she is living fully, working in a charming specialty fabric store and raising her daughter alone. Then a long-lost photograph appears in a national magazine, and she is forced to relive the terrible day her husband died in the collapse of the World Trade Towers…the same day a stranger reached out and saved her. Will a chance reconnection and a century-old scarf open Taryn’s eyes to the larger forces at work in her life? Taryn and Clara live in two different time periods, but their lives intersect because of one simple item. I love the way Susan Meissner interweaves two stories from two different time periods, and yet manages to fully immerse the reader in both worlds. She did it in The Shape of Mercy, and she did it again, in Lady in Waiting. A Fall of Marigolds equals both of these books in heart, in quality, and in the way it captures the essence of both women’s lives. Both Clara and Taryn have issues to work through. Each feeling guilt, they need to find the strength to move forward. Susan Meissner crafts two beautiful, mesmerizing stories into one book that fully drew me in and captured my emotions. She’s a master storyteller, and I had no trouble at all picturing the activity on Ellis Island as the immigrants stepped off the boats – many of them swallowed by grief over having lost a loved one to disease as they crossed the ocean, only to find themselves thrust into quarantine. And though fresh with remembered pain, Susan Meissner manages to gently draw the reader into the place none of us want to go – the memories of September 11, 2001. I highly recommend this book to anyone who enjoys a story with impact. This is women’s fiction, not necessarily romance; a journey two women take to find their way back into life after two New York tragedies separated by decades but with some eerie similarities. 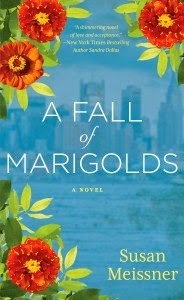 Haunting, yet captivating, A Fall of Marigolds is beautifully written. 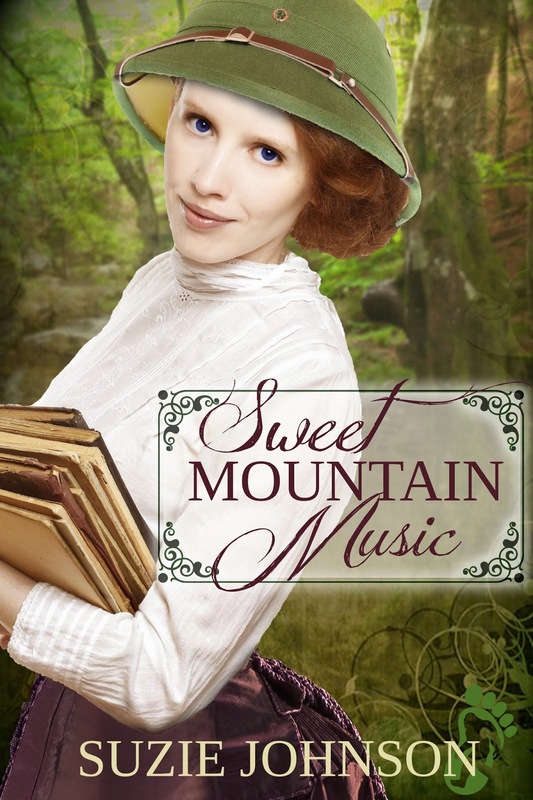 Suzie Johnson’s third novel and first historical, Sweet Mountain Music, will be released in May from WhiteFire Publishing. Suzie is also the author of two contemporary inspirational novels, True North, and No Substitute. Both books are written under the name Susan Diane Johnson and published by The Pelican Book Group. Suzie and her husband are the parents of a wonderful son, and they live on an island in the Pacific Northwest with their naughty little cat. Suzie believes her island is the perfect spot for writing romantic fiction. You can visit her website at: www.susandianejohnson.com. I really liked The Shape of Mercy right up until the end. I thought she handled the different viewpoints really well. Even if I didn't wholly agree with her underlying philosophy. Right up to the end? Hmmm. Now I have to refresh my memory. I don't remember. Lisa, if you think about, send me email because I lent that book and it was not returned.